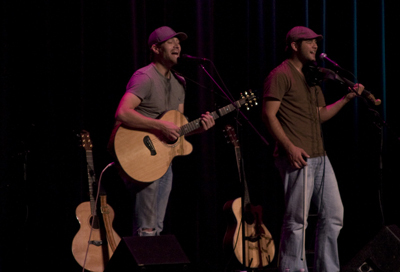 Since 1989 the Cup O' Joy has been Wisconsin's premier venue for nationally-known Christian recording artists. Now, as the Cup's many volunteers prepare to celebrate their 20th anniversary, Director Jan Oettinger takes a look back at how this Christian outreach came to be. 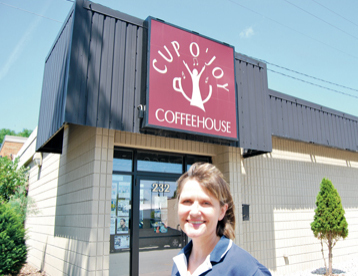 "The Cup," as it is known, had its beginnings a few blocks north of it's present location at 232 South Broadway in Green Bay, and for ten years the people involved were blessed to see the ministry that took place amidst a little music, coffee and fellowship. But as time went on, the ministry transitioned from a coffeehouse atmosphere to more of a concert venue, and space was becoming extremely tight. Then, in 1998, the new building became available. In the past, it had housed the Salvation Army, Knights of Columbus, various bars, and just prior to becoming the new "Cup O' Joy," had been a combination "gay" bar and tarot card reading room. Today, the entire building has been remodeled and features a first-class professional concert stage, overflow space with closed-circuit television, a library and conference room, and a complete kitchen -- as well as a coffee, soda and snack bar on the main floor. Oettinger is quick to point out that none of this would have been possible if not for the grace of God and the hard work of countless volunteers. "We've been blessed all along the way. You can really see God's hand in everything that has happened here," she said. 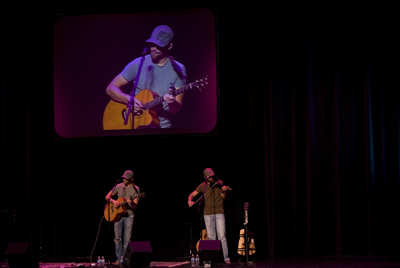 Others have established music ministries in other cities, but none are quite like the Cup. "We're not a church," Oettinger said. "We don't aspire to be a church. We encourage all of our visitors to get involved at, and help strengthen their own church - or to find a church they can be part of if they're not already involved in one. We're also very inter-denominational. We have volunteers from every Christian denomination you could think of, and it's really neat to see them all working together here." And volunteers are a big part of the work of the Cup - in fact, the ministry would not exist without them. At any given time, there are over 100 people from all walks of life, who freely give of their time and talents. Some do maintenance, some do construction, some help with lighting and sound, some serve food, some house the artists who come to perform. But all use their God-given skills and talents to help provide Green Bay with an Alcohol/Smoke-free family-friendly concert venue. Artists come from all over the country to perform on their stage, and every style of music is presented. Concerts are held every Friday and Saturday night - and admission is always free. They simply ask that if you can, you drop something in the donation jar. They receive no funds from the city, and very little from churches, but both are very supportive. "We're totally supported by individual donations, and people understand, it costs money to keep this all going."